Janet Parke is long associated with Ballet Memphis (in Tennessee) as choreographer, administrator, and dance school teacher and principal. 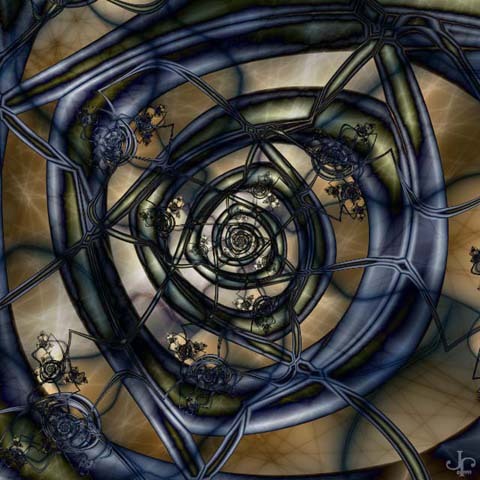 She has also long been an established fractal artist who who has won many prizes for her work and whose prints have been exhibited and collected widely. She was one of the first to master the complex fractal program, UltraFractal, and provided the online fractal community with a series of tutorials on use of the program. Her fractals have stylistic integrity and are carefully composed of dramatic fractal forms enhanced by a strong, subtle palette of warm, rich colors. The fractals exhibited here were all drawn in UltraFractal.